Persistent dryness, scratchiness and a burning sensation on your eyes are common symptoms of dry eye syndrome. These symptoms alone may be enough for your College Station eye doctor to diagnose dry eye syndrome. Sometimes, he or she may want to measure the amount of tears in your eyes. A thin strip of filter paper placed at the edge of the eye, called a Schirmer test, is one way of measuring this. Some people with dry eyes also experience a “foreign body sensation the feeling that something is in the eye. And it may seem odd, but sometimes dry eye syndrome can cause watery eyes, because the excessive dryness works to overstimulate production of the watery component of your eye’s tears. Dry eye syndrome is more common in women, possibly due to hormone fluctuations. Recent research suggests that smoking, too, can increase your risk of dry eye syndrome. Dry eye has also been associated with incomplete lid closure following blepharoplasty a popular cosmetic surgery to eliminate droopy eyelids. Dry eye syndrome is an ongoing condition that treatments may be unable to cure. But the symptoms of dry eye including dryness, itchiness and burning can usually be successfully managed. Your College Station eyecare practitioner may recommend artificial tears, which are lubricating eye drops that may alleviate the dry, scratchy feeling and foreign body sensation of dry eye. Prescription eye drops for dry eye go one step further: they help increase your tear production. In some cases, your doctor may also prescribe a steroid for more immediate short-term relief. Check the label, but better yet, check with your doctor before buying any over-the-counter eye drops. 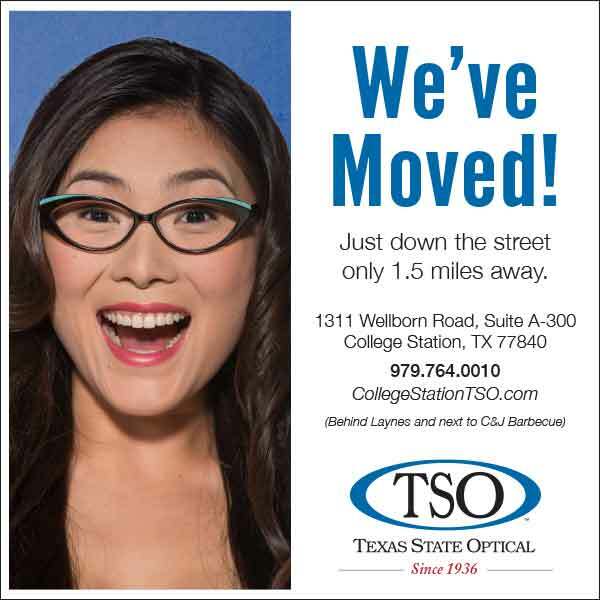 Your College Station eye doctor will know which formulas are effective and long-lasting and which are not, as well as which eye drops will work with your contact lenses. For more significant cases of dry eye, your College Station eye doctor may recommend punctal plugs. These tiny devices are inserted in ducts in your lids to slow the drainage of tears away from your eyes, thereby keeping your eyes moister.